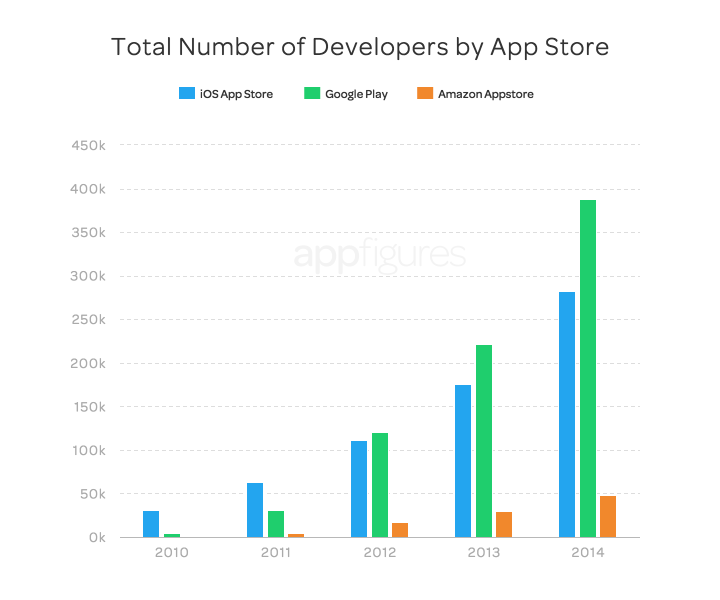 Should Your Business Hire An App Developer? Do I need to hire an app developer to build an app when we already have a mobile-responsive website and social profiles? Unless you are prepared to invest in building (which encompasses both design and development), maintaining and growing a quality mobile app, it’s not the right time for your business. This may sound a bit funny coming from a guy who helps run an app development & marketing firm, but don’t worry - I’ll provide a whole host of reasons later on as to why a business should decide to hire an app developer like Incipia to build an app. But first, I want to provide some detail to support the idea that mobile apps should be treated as a significant business investment. 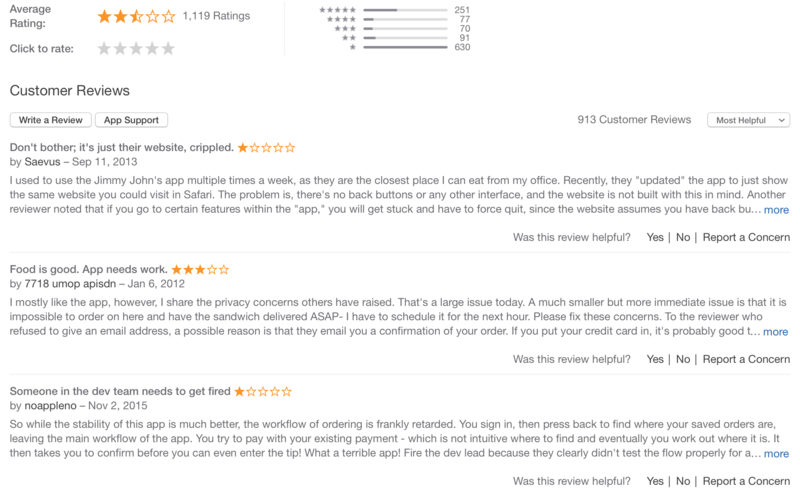 Fact #1: There are bigger consequences for building a poor app than there are for building a poor website. 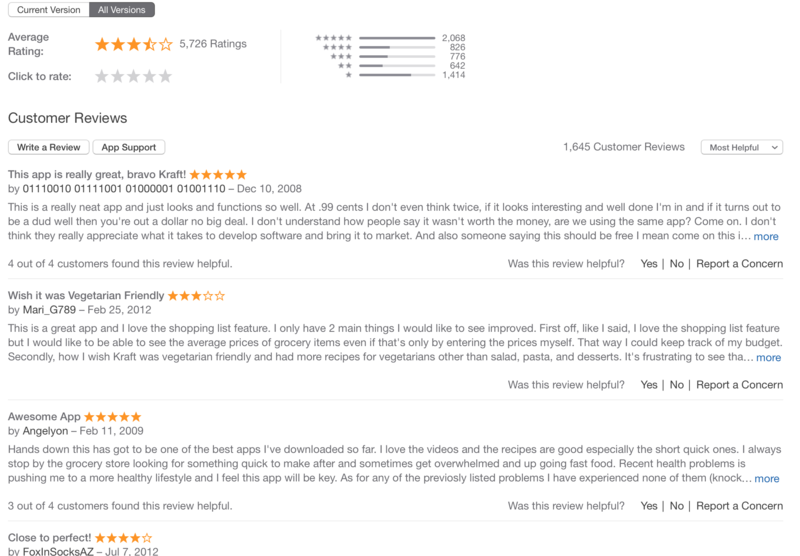 When you build an app, your customers will expect to download a quality product to their device, and if they are disappointed with your app, they will take to the app store to write reviews expressing their feedback, as they do on Yelp, Amazon and Twitter; and they won’t hold back, either. 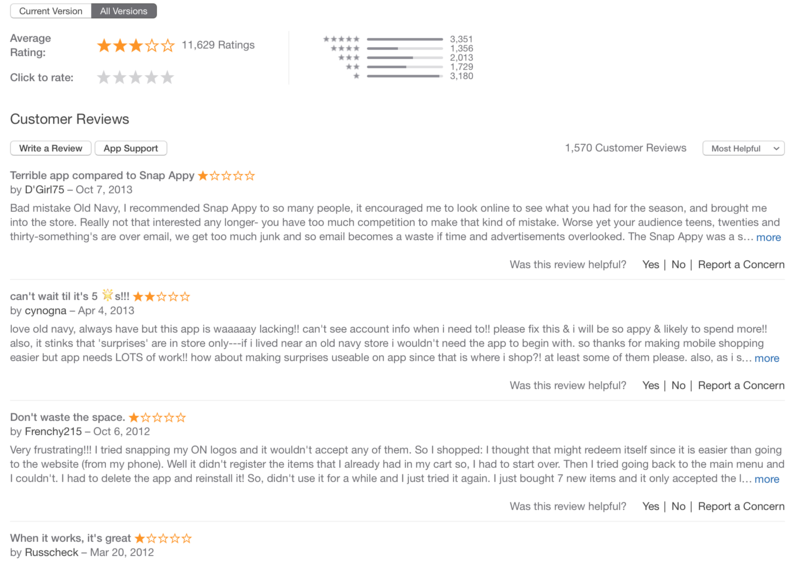 Your website doesn’t have star ratings in search results or rankings, but your app does. Even big companies like Jimmy Johns and Old Navy can get it wrong. For businesses with physical infrastructure to consider, plugging into existing stores represents a vital extra step to supporting an app and a quality user experience. 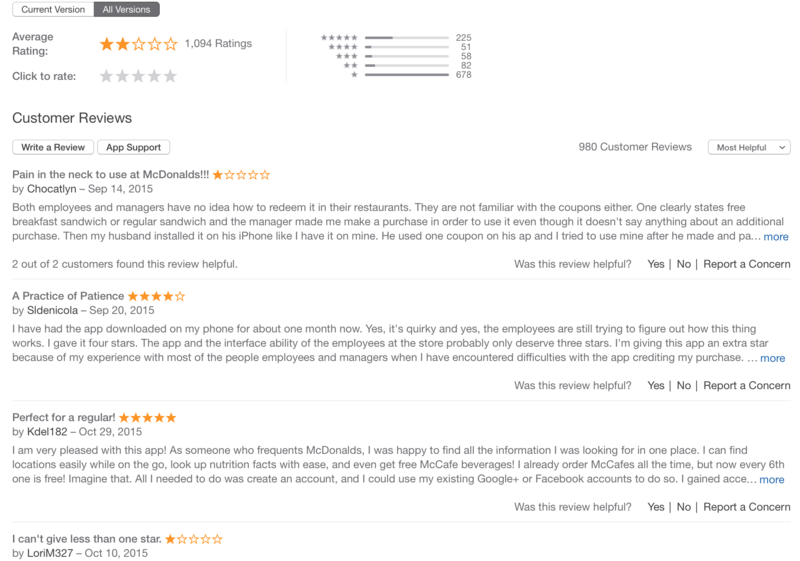 McDonalds is a case example of poor infrastructure app integration because it didn’t make sure to properly train its stores to support users of its app before launching. Fact #2: building an app costs more than building a website. At present, there are still many more web developers than there are mobile developers. 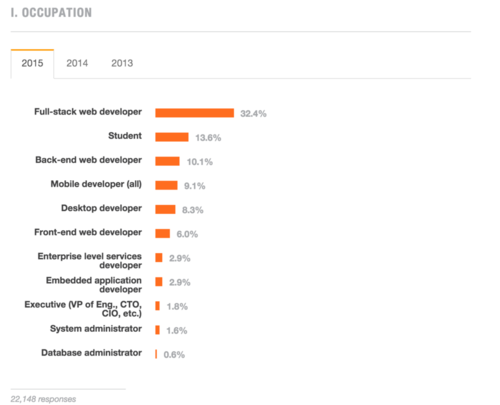 Based on a 2015 stackoverflow developer survey, 32.4% of respondents reported an occupation as a web developer, while only 9.1%reported being mobile developers (all mobile platforms). Supply and demand tells us that app development is still a premium cost vs website development. Moreover, there are no well-established CMSs (content management system) for app development as there are for websites like Wordpress, Squarespace or Drupal; the advent of CMSs was a key component to lessening web development costs. Furthermore for the best user experience, mobile apps must be developed natively in order to adapt the app to each platform’s capabilities (e.g. iPhone 6S 3D touch) and limitations (e.g. Android apps are allowed to tap into far more of the phone and OS capabilities than Apple allows), rather than once for all mobile operating systems, which inflates development costs for quality cross-platform products. That said, evolving technologies like the Unity game engine(which allows developers to create games in C# and publish across app stores) are out to lessen the impact of cross-platform obstacles. Fact #3: Apps are less accessible than websites. Companies like Apple, Google and Microsoft are working to integrate apps into their search systems for better discovery by populating app results alongside website listings on Google.com, Bing.com and Apple’s spotlight device search. Companies like Button, Facebook and Branch are working to enable deep linking to content inside of apps similar to how http deep linking between websites works (i.e. clicking a link to this blog post and going directly to this page, rather than being directed to the root-level domain), and even enabling users to move fluidly between apps or access functionality without having to install new apps. There are other reasons, but the main point once more is that if you are not prepared to invest in the full costs of designing, developing, maintaining and growing a quality mobile app, then it’s not the right time. Okay. Then why should my business decide to make the investment in a quality app? You are a brand, not just a widget business. Because brands must charge a premium in order to exist, brands must continually engage their customers to ensure that the next time a customer makes a relevant purchase consideration, the brand is the first thing on their mind. Apps can be a great way for brands to create an influential and sticky new touch point by crafting an experience that users love and use often, such as theOakley Surf Report, the Oral-B oral care app or iFood by Kraft. Your customers need to continually perform repetitive actions. If your customers engage with you on a consistent basis, an app can help alleviate friction to doing so by setting up a highly personalized experience that saves all of their information, history and preferences, and keeps it all in their pocket. A customer loyalty program is a quintessential example and theStarbucks app is an exemplary model. 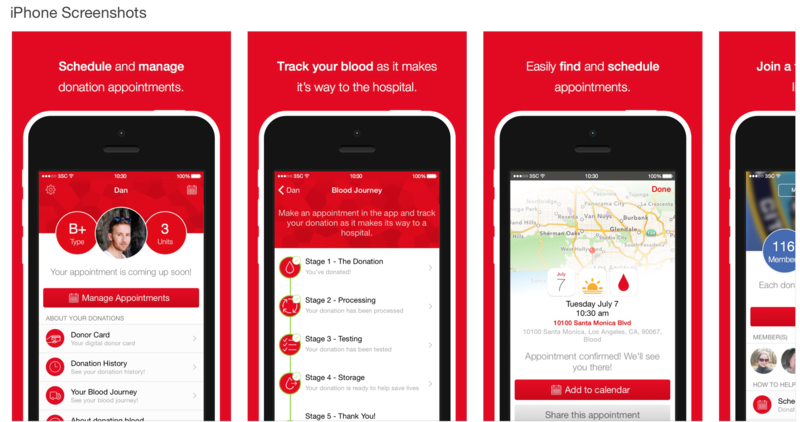 Non-profits can benefit from developing a repeat customer app, too, like the American Red Cross’s donation appointment scheduling app. The American Red Cross is also an exemplary model of a brand that leverages the power of apps to provide information to and engage users, having released 12 and counting apps to help users with a variety of needs and education, from forming safe habits to emergency preparation to learning first aid. You sell products that can drive more value for users via a connected app. You want to establish a brand new revenue stream. Apps introduce the concept of in-app purchases, which enable businesses to create and market customizable in-app goods (like custom content or personalizations) or features (like the ability to add attachments to a document) that users can pay or subscribe to unlock access to. In app purchases are currently one of the most popular ways to monetize an app, given the fact that they do not annoy users with ads, don’t stifle adoption like paid apps do, and also allow users to pick and choose for themselves which features or content they find valuable enough to pay for. The Voice is an extremely successful example of a brand creating a previously nonexistent revenue stream through a mobile app. You want to encourage more user-generated content. 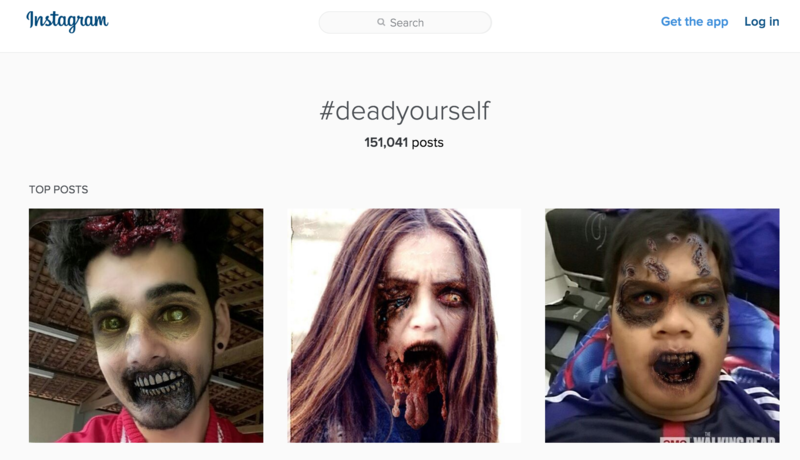 Apps are able to tap into loyal customers’ desires to be associated with a brand by creating and sharing self-generated content (which is gold for viral marketing) from a mobile app, such as AMC’s The Walking Dead’s “Dead Yourself” selfie generator. You are a media business. The explosion of mobile usage requires media brands to have a mobile app presence in order to keep their eyeballs and ad dollars. Per eMarketer research:“Mobile [was forecasted to] Account for More than Half of Digital Ad Spending in 2015.” Additionally, online ad blockers (the bane of media brands’ existence) do not affect in-app ads. You regularly push out content or updates. One main benefit of an app is that your icon is on a device that’s just about always being used by your customers, which when combined with the compelling, custom experience an app can provide gives you an advantage from using an app over websites, emails and social channels. You want an update for today’s mobile-first era. Access to native phone capabilities such as contacts, a front and backward-facing camera, thumbprint reader, accelerometer, highly accurate GPS location data and a microphone. App Design - we can help you create a winning app by combining your vision with a cohesive and functional app design. App Development - our priority is to build high quality, polished products that your users will love and which do your vision justice. App Marketing - we can help you set up a mobile marketing strategy to ensure your users actually discover and download your app. 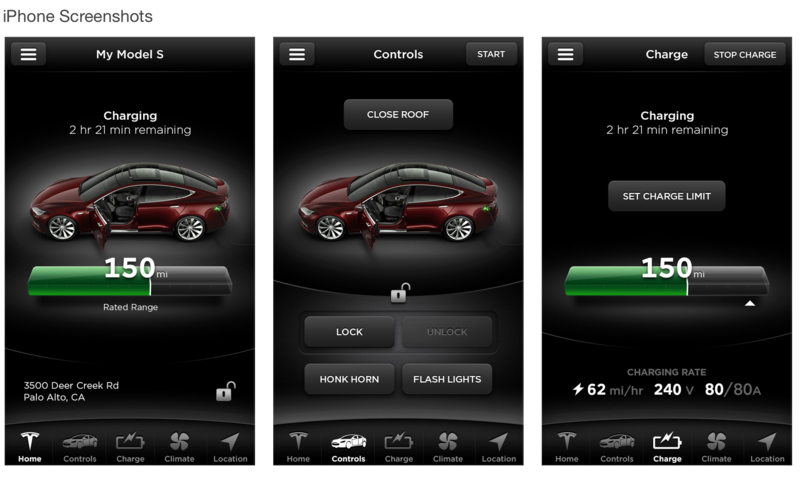 App Improvement - a mobile app is not a “set it and forget it” investment. We can help you build and execute a long-term roadmap to maintain and add features to your app over time in order to draw the best ROI. For inquiries, fill out our contact form or contact us at hello@incipia.co. That’s all for today! Thank you for following along. Sign up for our email list below for more posts on useful topics in the world of apps, and feel free to email us to request future blog topics.